Have you ever wondered how to power your TV, computer, video game, cell phone charger, or other electrical items from a 12 volt battery? Maybe you've always wanted to be able to charge your laptop in your car. If so, you've come to the right place. The standard voltage for electricity that comes into your home from the power company is 120 volts. How on earth are you going to be able to run appliances that require 120 volts on 12 volt batteries? The answer lies in a neat gadget called a power inverter! When I discovered power inverters, I was thrilled! For years I have wished that there were a way to plug standard household appliances into our vehicles while traveling or camping. The solution lied in a clever invention called a power inverter. All of the items in your home require 120 volts of electricity but your car, rv, boat, camper, or solar batteries only provide 12 volts. If you tried to hook them up directly to a 12 volt battery, you would destroy them in seconds. A power inverter is a complex device that is simple to operate. They range from very small units designed for your vehicle to huge units for use in solar homes. I don't understand the electrical circuitry but that's not necessary for them to work flawlessly. The basic principle is that as the 12 Volt power comes into the inverter from one or more 12 volt batteries, it is stored up briefly until it can be delivered out as 120 volts. Now I'm sure that's a huge understatement about how they actually perform the process but for our needs, that's all we need to know. Aw, which inverter should you buy? This really depends on your needs. If you plan to power a video game charger in your SUV then you can get by with a very small one. The small inverters come in two types. The first simply plugs into you vehicles cigarette lighter outlet. What could be more simple than that? You plug one end into your car outlet and then you plug your standard electrical device into the inverter outlet. The second type of inverter requires a bit of simple wiring. Some come with the wires and some don't. If they don't you can get the wires at your local home or car store. If you've never done any wiring, don't fret. The instructions are very easy to follow and it's pretty hard to get it wrong. The red positive wire goes to your the positive terminal on your battery and the other black wire is securely screwed to your vehicles ground. This is just some unpainted metal spot under the hood. There are many to choose from and it's easy to attach the ground. Basically, the negative terminal of your battery is connected to the metal body on your car so when you connect the negative wire from the inverter to metal on your car, you're really just connecting it to the negative side of the battery. Sound complicated? It's really not. What if you have a need for a larger inverter? Maybe you want to be able to run your big screen TV in your motor home or you are planning to set up an off the grid cabin or house. Naturally, this will require a bigger inverter because larger devices consume more power. Several companies make large inverters. Inverters are rated in the number of watts of electricity that they can supply to your electrical device. A charger for a video game might only require 20 or so watts while the big screen TV might require 1000 watts. The trick is to make a list all the devices that you may want to power at once and then figure out how much power they each use. 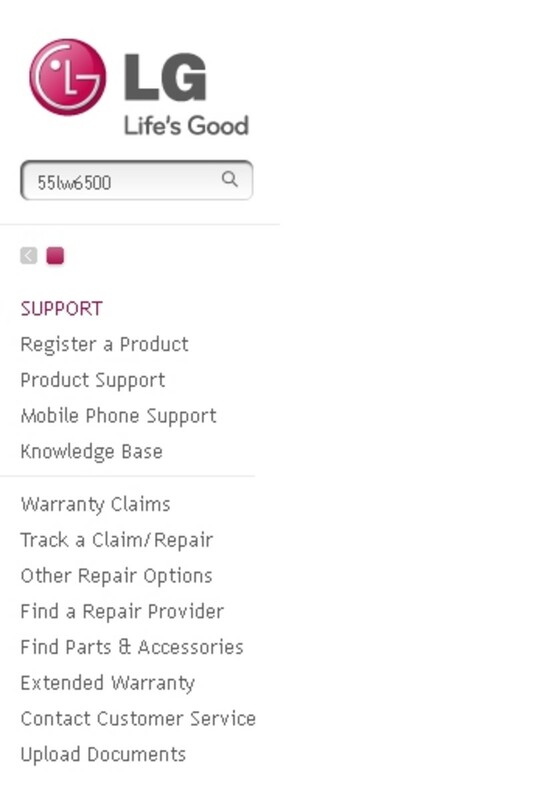 This number is usually on a sticker on the back of the device. Add up the watts required for each device and viola, you know how big the inverter needs to be. Inverters usually come rated with two numbers. You might see an inverter that says 1000 Watts continuous / 1500 Watts surge. They are built that way because some devices require more power when you first turn them on. This is called the "startup load". Whatever you electrical needs are, chances are, there is an inverter made that will do the trick. I suggest that you rush out and get one for all your vehicles. I can't tell you how handy they can be to have. The possibilities are endless! It's important to note that if you use an inverter while you are running your vehicle, a standard automotive battery will be suitable. But, and this is an important but, if you plan on using the inverter to power items when the vehicle isn't running you should really have a deep cycle battery installed in addition to your starting battery. It sure would be awful if you ran your car battery out of power and then couldn't start your car. 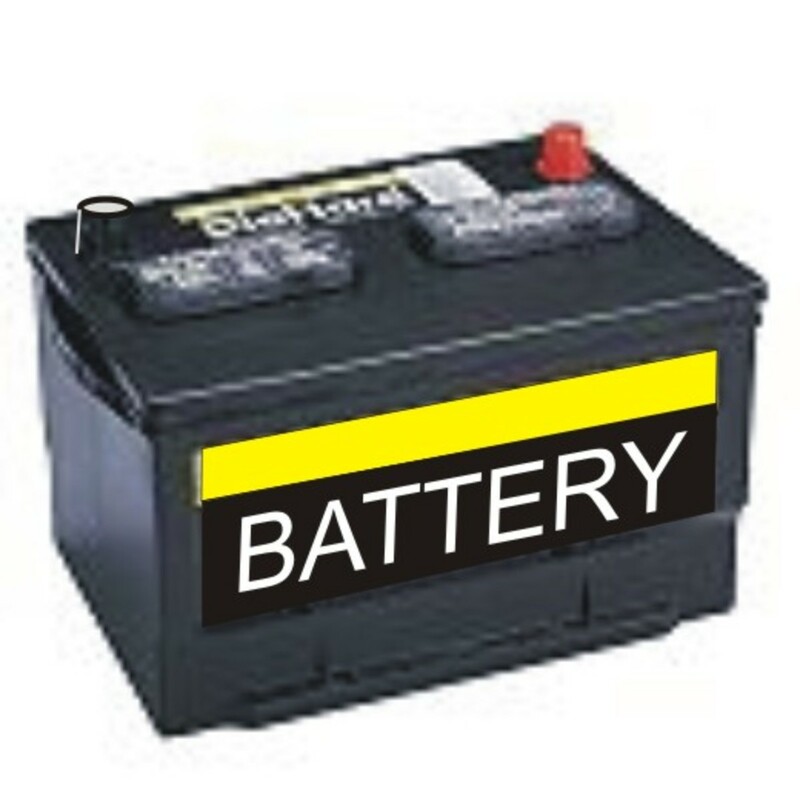 These deep cycle batteries are designed to be run down to a very low charge level without damage. They can go through many charge / recharge cycles without damage. The battery in your car is designed to put out a large amount of power in short bursts for starting the vehicle. Once your car is running, the electrical needs of the vehicle are supplied by the alternator. An interesting website about tracking down a lost cell phone via GPS applications. I would love to answer any questions that you might have about power inverters. I'm without electric at my apartment for the next 6 days. What is easiest way to stay cool at night. (I do have a portable ac stored away) not sure what would be easiest way to just run couple things through night. I would like to plug a TV and XBOX using my car battery while the engine is on. What do I need to do? Please recommend the brand. 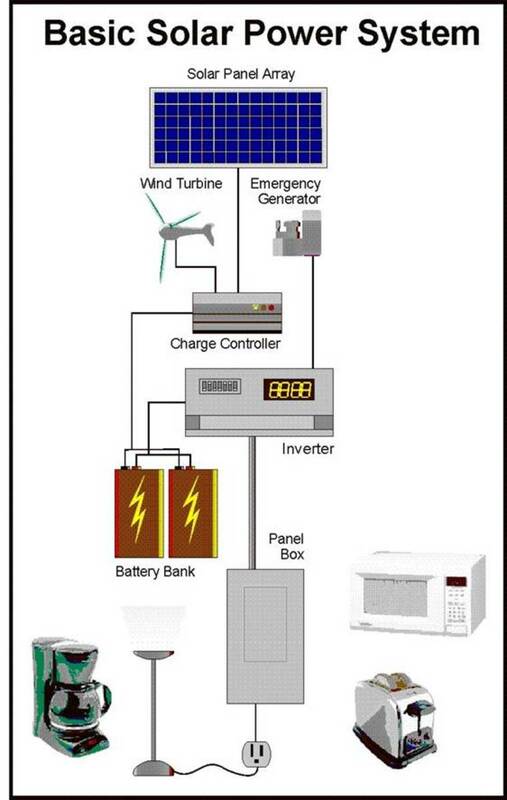 @charlie-vang-73: It depends on how big your solar panel is and how big your batteries are. If the panels aren't big enough to provide enough charging power or your batteries are so big that your solar panel won't adequately charge them, the system won't work very well. I plan to use solar panel charger to charge the 2 batteries. Inverter will be used is 5000 watts. I plan use it days and night for running my computer, printer, scanner, monitor, and modem. Will it works? @anonymous: I would like the link to his system if you have it. I have a camper trailer with a 120 amp hour deep cycle battery and would like to run a 12 volt tv. Besides the tv, what other components will I need to make it all work. Hello can someone help me please. I would like to wire a converter box directly into my vehicle, not utilizing the cigarette lighter. The converter box is originally designed to be plugged in the house. Is there a way to cut the plug and wire it into the car? I have a 19" tv (12volts dc input) with separate adapter (like laptop charger) which is indicated 100-240v input then 12V 4.0A output. Since the TV is 12 volts, im planning to connect directly to a 12V battery and will no longer use the adapter. The only thing that im concern is the charging method of alternator, i believe when alternator is running, the voltage way up to 14.8 volts (i guess). will this voltage destroy my 12 volt TV? the tv has no indication of power ranger like 10v to 16 volts. Is it possible to connect a power inverter straight to a stand alone marine battery, when camping ? Long story short, I want to know if i can simply plug a car power inverter into a cigarette lighter adapter that "splits" into positive and negative battery clamps, then connect the clamps to the freestanding marine battery (so i can charge cell phones, ect without using/draining my van's car battery......thanks ! I have a 2007 Chevy trailblazer and I want to power a 19 inch flat panel TV with a 400w power inverter pluged into the cigerette light, with that be enough power or do I need to run it straight off the battery...either way, will I have to leave the vehicle running? Iwould like to run lights for several tents from my car. The tv has a converter box at the back which says on it input 240 volt AC. output 12 volt dc. Can I throw the box away and connect directly to the battery bank. 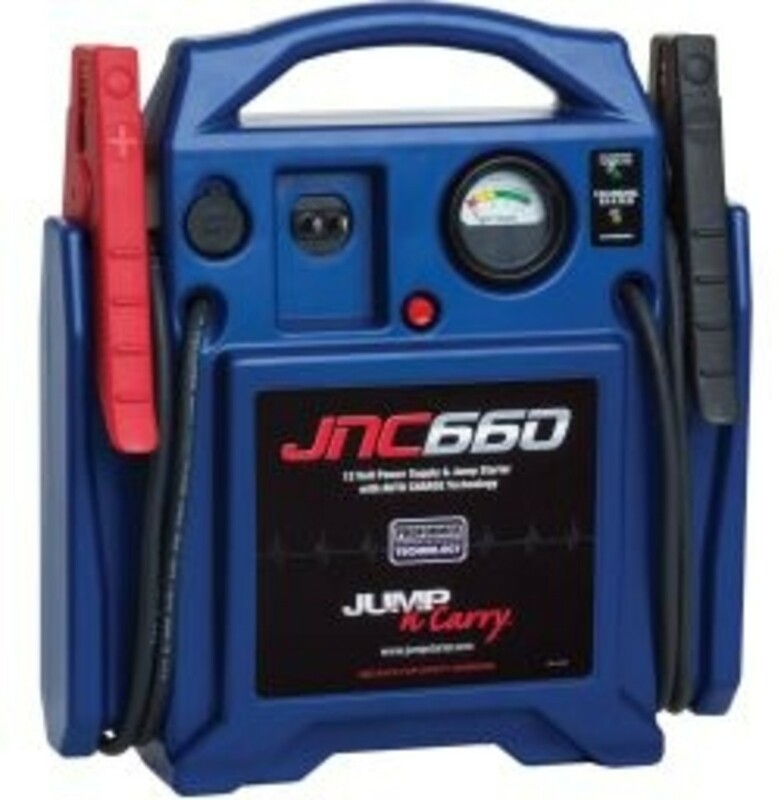 I'm considering using a 5000w continuous power inverter for back up if we have a power outage. I live in Satellite Beach Fl, and if there's a hurricane, well, the power here goes out fairly easy. I'd like to run my refrigerator, TV, computer, a couple of fans &amp; lights, of course keeping the total power draw to an acceptable level. Question is, can I hook it right to my SUV battery terminals and run the car using the alternator as the 12DC power input? How much 12DC current is required to run the inverter? Will the inverter draw too much current from the alternator? I also have 2 deep cell 12v batteries that I could use one at a time while charging the other with my battery charger when not using the SUV. Again, how much 12DC input current draw would there be using a 5000w inverter near full capacity? Thanks, hope it will work, rather use an inverter if possible for my needs then a gas generator.